This is Capt Steve with the fishing report for the St Johns River. 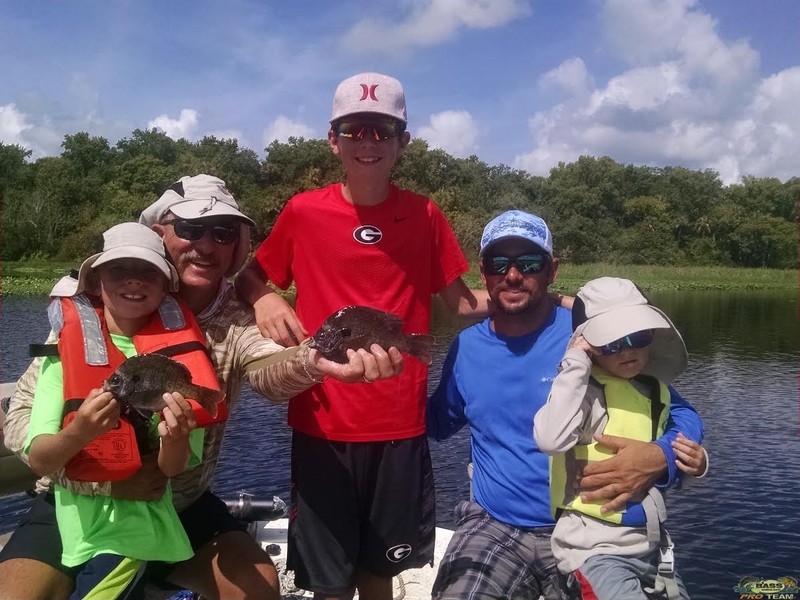 I had Guy his son Jacob his grandsons Gavin Carson and Esten we went out and did a little bit of bream fishing. We caught about 20 and they are bringing some home for a little fish fry. It was really exciting seeing them young ones having fun and catching some fish. The bream are up on the beds and will be doing that for the next month. So if your thinking about catching some and having some good tasting fish give us a call at BassOnline thank you.